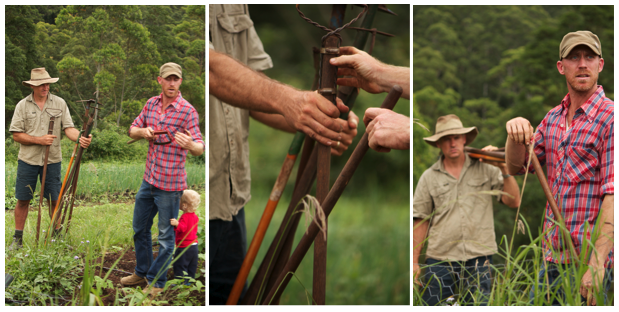 On Saturday 24th March, Summit Organics hosted our first Farm Walk for the year. 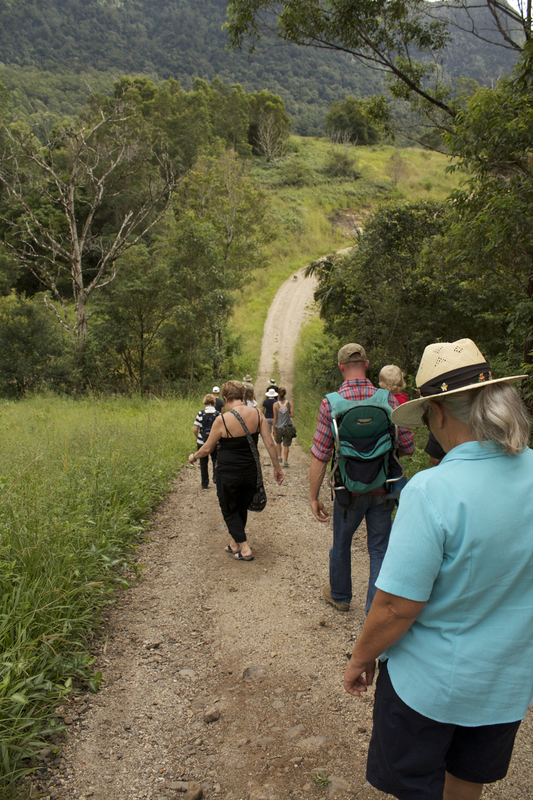 We had approximately 25 people attend the farm walk and share in a home-made morning tea. Tania, Rachel & Michelle baked up some scrummy bisuits and cakes for everyone to enjoy before the group took a tour of the farm. 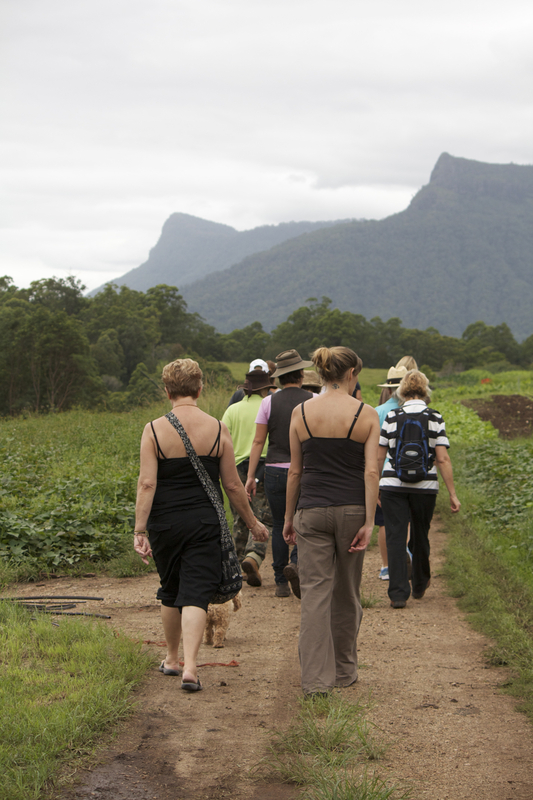 If you have not yet attended a Farm Walk, the idea of these events is to give the general public including our customers, a chance to visit an operational organic farm. During the ‘Walk’ people get to meet the farmers who grow their food, see the food production areas, ask questions about any aspect of the farm and generally gain an appreciation for the challenges and joys in bringing this much good food to market. For us farmers, these events are an opportunity to further educate people about what is involved in growing food organically; we get to open the farm up to anyone who wants to visit our farm; and most of all we enjoy the opportunity to have a chat, meet people and build closer relationships with the community. Tania officially started the Farm Walk by giving the crowd a brief history of the life of the farm as Summit Organics (originally Summit Coffee Plantation) and introducing all the current team members. 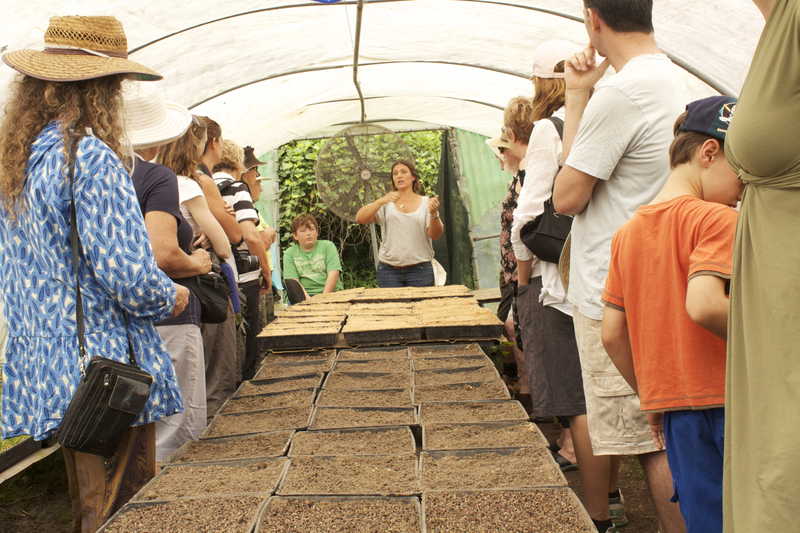 Then everyone was taken to the see the Seedling house and Tania and Rachel explained the processes they go through in raising all the crops from seed. There was some lively conversation about what genre of music seedlings actually prefer to have played to them as they begin their life. Rachel is trying many styles and hopes to have some conclusive evidence by the end of the year! The crowd then followed Rod as he led them up the hill to where the veges are ‘planted out’ until they are harvested, some as soon as 6 weeks later, other growing for several months. Rod introduced the group to many important parts of the farm, including encouraging people to get up close and personal with the compost heap, and showing everyone how we ride ‘Oinky Boinky’ the pig. Oinky has recently started performing soil maintenance activites up near the vegies. Pigs are fantastic at turning over soil, digging out roots and weeds, and giving the whole field a good dose of organic fertiliser. In return all she asks for is food and cuddles! Rod spoke to the group about some of the challenges Summit is currently facing. Most concerning is the unusual La Nina type weather patterns caused of course by climate change. This is bringing us all an unseasonally high rainfall and mild temperatures for our Summer/Spring season. And Autumn – well it has not really arrived yet! Autumn being our major crop planting season, this has had an enormous impact on what we are able to plant, and will affect how much is available in coming months. We all believe here at Summit that people need to understand the challenges farmers face as we see the effects of climate change. This global issue has huge potential to adversely affect food security for people around the world (this is already happening, i.e., the current UK drought has greatly reduced crop planting throughout UK). We feel that if the general public gets a more direct understanding of these issues it may filter out more quickly into the general community and influence positive change. Aidan finished up the tour by giving eeryone a really useful demonstration of the tools we use on the farm. This generated lots of questions from the home gardeners amongst the group. As you can see from the photos we use a whole range of different tools, and each is suitable for different types of weeding jobs. As organic farmers, weeding is one of our most time consuming tasks. unlike conventional farmers, we don’tuse any chemicals to control weeds. Luckily, we all love weeding…its very therapeutic!